Once you have an idea for your next app, make sure you do your market research in order to understand who your target users are, what their needs and requirements are, what platforms they mostly use. Also, look closely at your competitor’s strategies so that you get an idea of how to make your app stand out from the crowd. If you do your research well and understand what your potential users need and expect from you, you are more likely to build an app that is successful. 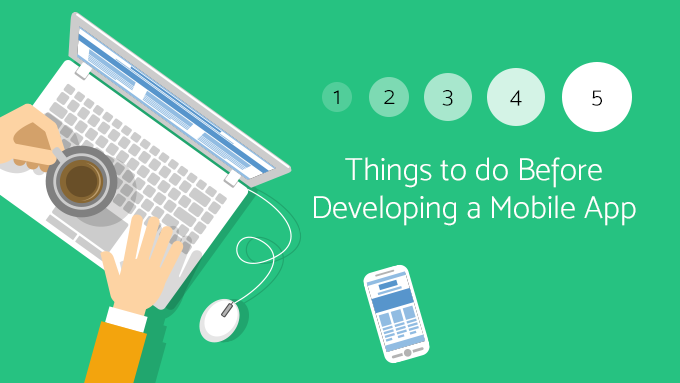 When developing a mobile application, it is crucial that you first set the goals clearly. Once you do that, you will know where to start and what are the next steps that need to be undertaken in order to achieve the desired result. Think of what your highest priority is when developing an app: is it to enhance customer loyalty or is to create new revenue streams? Or are you trying to do both? If so, once you’ve figured out your goals, prioritize them so that you know what direction to take with the process. Will the application increase customer retention? Will the application increase brand recognition? Will the application increase the revenue? Will the application somehow decrease the costs? If the answer to these questions is “yes”, then you should start working on planning your app. Before beginning the process of app development, you need to map everything out. Figure out the features you want in your app, how you want it to look and feel and craft the user flow. If this is your first app project and if you don’t really have a background in the field, then planning would be more efficient with a mobile app development agency, to guide you and give you valuable advice throughout the process. Users tend to re-engage with an application when there are new features added. Spreading key functionality across the first few releases of the app would be a smart strategy to keep your users engaged. But not too often unless you want your users to feel bombarded.